I haven’t officially started and seeds yet. My light tables aren’t put together in the basement yet, I haven’t even ordered all of my seeds yet -yikes. Am I behind? Not really, I’ve been deliberately trying to restrain myself from starting things too early. Seedlings do so much better when you can get them planted outside when they’re the right size. So starting them too early often doesn’t do any good and may actually be bad for the plant in the long run. I will be starting some lettuce this week, I think by the time they’re big enough the cold frame will be warm enough to transplant them. I think spring will come a littler later this year so I’m holding off as long as I can to get the seed starting going. I did “unofficially” start a few seeds for the Amsterdam Seasoning Celery I got from Renee’s Garden. A few days ago, I sprinkled them in a post I had by the back door that nothing was growing in (failed attempt to propagate a houseplant). The first seed germinated yesterday! I think this will make an excelling winter gardening plant. Fresh celery taste all winter long from a pot in the dining room! I can’t wait to see how this herb does. Celery sseedling are the tiniest of all I think, I should have put a penny by this so you can see how small they are. 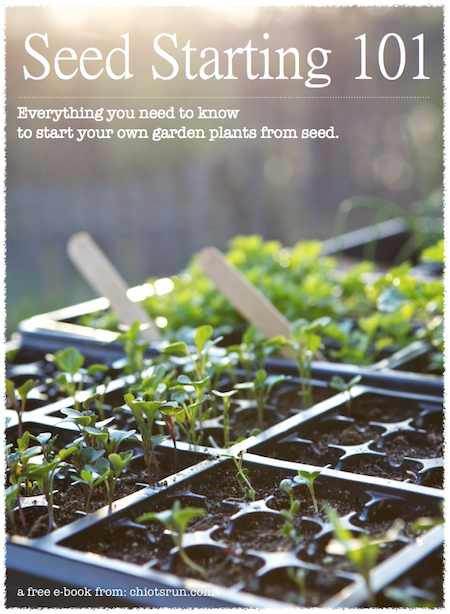 Have you been starting seeds yet? last week I started with tomato and tomatillo for the hot house. it`s crazy how fast the grow and my boys and I love to take a look each morning. I can almost taste them. .-= wic´s last blog ..Mediterranean Food: Loukanika – Greek sausage with yogurt sauce =-. Most definitely! In this climate most seeds need to be started indoors or they just won’t have much of a chance. We’ve got leeks and herbs, marigolds, evening primroses and impatiens, lavender, and now toms and peppers starting. I’ve even thrown common sense to the wind as sprog wanted to see if I could get the black beans I was cooking for dinner one night to grow, and we planted a few; they’re starting to poke up out the ground! .-= Rose´s last blog ..Considering he’s six… =-. Yikes! We fell into the trap of starting things early. Weather was warming up, but then things dropped really low. I might be able to start them later this week. No seeds yet – like you, I hear that it will be a late spring, at least late in really getting established. Things are starting to warm and there is a light at the end of winter, but for some reason “they” are saying that we’ll have warmth, then a few “relapses” throughout March and April. While I hope “they” are wrong, I don’t want to start the seeds early and then have them sitting around in the house because its not reliably warm enough outside. I’m totally starting early this year – partly because last year my eggplants and peppers just seemed to need more season to make fruits, so I wanted to give them a good start with bigger plants (I’m starting to think this one’s going to bite me in the bum since they’re growing crazy fast). I started them mid Jan (yes, I know, they just got upgraded to larger homes this weekend) and started my tomatoes and celeriac last weekend. I need to wait til mid-March for the next installment (onions, luffa, brussels sprouts). I know others are saying otherwise, but my gut tells me there’ll be a bang to the end of winter and then an early spring (in like a lion, out like a lamb this March). I’m hoping for that. I also cleared the snow off my raised beds yesterday in the hopes of some early warming to them. Since every year is an experiment for me, in the garden, I’m trying to not be anxious and just wait and see what happens. I have a few things start so far. Onions went in late Jan as well as one early tomato. The celery & celeriac were planted about 10 days ago. I will also be starting all the peppers on the next lunar date which I think is Feb 24. I find peppers really benefit from an early start, last year I had anaheim peppers in June. The main crop I am holding back on this year are the majority of tomatoes. They grow so fast they will not be started until 6-8 weeks before outdoor planting. .-= Dan´s last blog ..A Taste of Spring =-. I have started kale, lettuce and spinach inside (my spinach is having an awful germination rate though and the seeds aren’t even a year old yet…) I have Tom Thumb Peas in a container, but that is a constant. Since they are a dwarf variety I don’t transplanting them. This coming weekend I intend on starting snap peas outside though. .-= Jaspenelle´s last blog ..Heirloom Pole Beans =-. I too have (slowly) learned not to start things as early. It seems like plants do better when they spend more time in the ground, and less being tortured in my house! .-= Sara´s last blog ..a good cake for seasonal eating, or not =-. We have to start pretty much all year ’round. So yes, things are up downstairs. .-= stefaneener´s last blog ..Chitting and Kitty =-. Luckily, it’s been nice enough in Southern CA to start a few weeks ago. I have Spinach, Romaine and Grandpa’s Admires lettuce going strong. Our mini-dwarf citrus triplets (one Meyer lemon, one Mexican lime, one Valencia orange) are producing lots of new leafs and our two trellised blackberries have started to bloom! I was late in the garlic game and just planted three weeks ago, they seem happy so far! .-= Morgan G´s last blog ..Low-Impact Footwear Purchase: Pass or Fail? =-. Just waiting on the mailman bringing my seeds. .-= MAYBELLINE´s last blog ..Sweet Rain =-. I got my first seed sprout of the season today as well! My poblano was the winner this year, but that’s due to the fact I started the peppers two weeks ago. Yesterday I started up the tomatoes. We’re benefiting from El Nino this year, despite how far inland I am, so spring has come early this year. It won’t be warm enough to direct sow the lettuces and the like outside probably for another month yet, but even that is pretty darn early for these parts. If only every winter was like this! 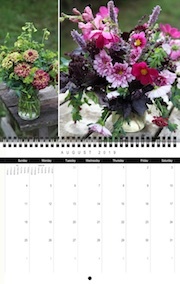 .-= Kelly´s last blog ..First Sprout of the Season! =-. Sure, did you find it on Flickr? If you did you can download the larger version on there. If not and you need a larger size let me know which photo you’re talking about and I can send you a larger file size of it. New life is always exciting! Winter is mild here in Austin, Texas, so we’ve had several things going over the winter. The lettuce and carrots have been wonderful and the broccoli and spinach are looking delectable! I’ve got a blanket of lettuce sprouts in the corner of one my lettuce/parsley beds, and hopefully some carrots soon. Otherwise, I have a bunch of seedlings going indoors under lights to get a jump start on Spring, which is typically short here before it’s blazing hot. Glad I found your blog. .-= Joseph´s last blog ..WP.com Downtime Summary =-. No, but I’ve finally separated my gargantuan Aloe Vera so I could put my hands in some dirt. Like you say, it’s not better to start too early and have all your tall and fragile plants snap in the spring breezes.